I am sitting here looking for a job, and i opened up the bag of goldfish for Kalli to eat, Well food in front of fat girl, im going to eat one right? Well i steal one out of the bag and she gives my this look like "WHAT YOU DOIN!" and then she proceedss to feed them to me! lol! Everytime she eats one then she puts one in my mouth! I just thought this was funny and cute and thought i'd share! :) my little cutie! Now, I am NOT sorry if i offend anyone with this. It is my opinion and belief that small children should not have sweets, especially babies and toddlers. At this age they don't know the difference, you could offer them a carrot stick and they wouldn't know the difference. When you or I eat a chocolate bar or a bag of candy we know that what we are putting into our bodies is not healthy, but that is a choice that we make for our self. We know that is isn't good for us but we have the capacity to decide to eat it. When you feed a toddler this stuff, a kid who doesn't know that it is bad and doesn't know why high calorie sugar sticks shouldn't really be put into their body, you are FORCE FEEDING you kid JUNK! It is your responsibility as a parent to do whats right and make the right decisions for your child, putting the right kind of food into their body is a very important decision. It is a decision that can affect their lifestyle forever. If you start your kid off on junk food all the time they are going to want it and they don't know it'd bad or why its bad. So why knowingly increase your childs chances of getting diabetes, or becoming obese. I guess so you can feel like a "good parent" for giving your kids every chocolate thing out there for easter. Well if you are going to shovel sugar down your kids throat then i really suggest people go out and research the effects of feeding BABIES candy and chocolate, and why you shouldnt do it.. Im sorry i had to vent about this subject. It makes me sad, babies and toddlers rely on their parents and trust without a doubt that their mom or dad will know whats right and will do the right things, if they are taught that eating a bunch of candy and junk is right thats a problem, they cannot decide NOT to eat it they just will if that is that they are given. its kinda like smoking... you choose to smoke and you make the choice if you are around someone who is smoking, its your choice, but having your kids around﻿ a smoker, they are not given the choice weather or not to put those chemicals into their body, they are being forced it. They can not make that choice for them self at all. I have been having MAJOR anxiety about turning Kalli forward facing in her carseat... Ever since we took her to the Dr more than a month ago and the dr measured her...by puting pen mark at her head and foot on the paper on the bed and told us she was 31.5" tall... her carseat only RF'd up to 32". I really didnt feel like she was that tall but i went with it and then yesterday i decided to measure her myself by standing her up and putting a book on her head and marking on the wall. Well when i measured her she was just barely 30". I honeslty trust my measurement more so that means i am keeping her rear faced for a little while longer! Yeay to my miss Kalli! Today at nap time Kalli refused her bottle. Since being sick she has hardly wanted it at all and today she hasn't wanted it once and she even pushed it away. I am so proud of her and I really hope that this continues for her! A little update about our sickness.. Kalli still has diarrhea and it hurts her very bad now as she has also got a real bad rash from it. Luke seems like he is done, he had one small hard poop, and Emma did wake up with diarrhea but it hasn't gotten any worse. I am not sick any more, I am still pretty exhausted from lack of sleep but otherwise i'm almost top notch!. Jordan says he's "sick" but who knows how long he plans to milk that one!! Our family has officially been hit with with the flu. All three kids got it coming out both ends... And honestly my tummy is rumblin! It is a little bit stressful. Last night we had a fainting episode with Kal and had to take her to the ER just to be on the safe side. We are now giving her lots of pedialyte and changing lots of sheeets and diapers... Wish me luck all I will talk to you Soon! So a midst my allergic mope-fest, i get a call! It's my best friend in the whole world! She moved to a PEI about 6 months ago and i have missed her like crazy. I have had two kids and her daughter has grown soo much. I was so excited so i put up with my constant sneezing and i got up and went and picked her up! She and her 7 month old beauty Gemma came over for a play date and to meet my new babies!! It has been so long since we have seen each other! Her and I have been friends since i was 5 and she was 3 (late birthday), so now, 15 years later we are still the best of friends, we talk on FB all the time and when ever she is down we make a point of spending as much time together as we can. Her family is my family. Her grandmother was my babysitter most of my life, and i call her nan, and her other grandparents nan and gramp! Our kiddos really loved playing with each other. Kalli is just a bit too big to really play with Gemma and the twins are just a bit too small but it was still fun seeing them interact! Ahhh my kids! Today i had to get up early and leave before they got up, and Jordan was supposed to get up with them at 8:30 (the time they wake up everyday!) But today on my early morning when im just about to climb in the shower i hear a little Luke squeel... he's up and my shower plans are blown! Walking out into the kitchen i hear Kalli groan. Thankfully she stayed asleep so maybe i'll get out the door before shes up. I swear these kids are psychic! I have been watching a lot of the controversial parenting tag videos on Youtube lately and i even did one myself (click here to watch it!). Even though i do and have at one time relate to the topics sorta, i feel like the world deserves a controversial toddler tag, so since i haven't seen one i think i might go ahead and create one of my own! I thought of this today when i was looking at Toddler Harnesses online.. And i bid on one on ebay.. Something i never ever thought i would ever use or purchase i am making a solid plan to buy! I am in a situation now where kalli is a RUNNER! in the store she will not sit in the cart, she wants to stand up and turn around and jump and play.. so i try holding here, that doesnt work well when she is 26lbs and squirmy! So my next option is to let her walk, well i can't very well grocery shop while holding her hand and i can't run after her and still manage to get what i need to get into the cart so this is my next solution. The next topic is a hot one, Forward Facing Vs. Rear Facing. I have always been a HUGE advocate for Extended rear facing, and i still am but i just cannot afford to drop 3 or 4 hundred dollars on a diano or clek, and i can't go out and get a new car so my options are limited as to what will fit in my car and my budget. Kalli recently out grew the 32" height limit on her scenera, In Canada the height limits are lower, they are on more seats and more strict to use! 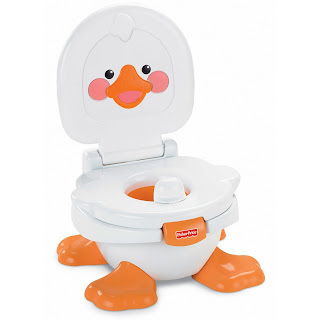 So my option is to Turn her around FF in her scenera and then buy 2 more Sceneras for the Babies, While i was out shopping for the two sceneras for the twins i came across something that caught my eye! The fisher Price Safe Voyage Grow with me Child-Booster seat. 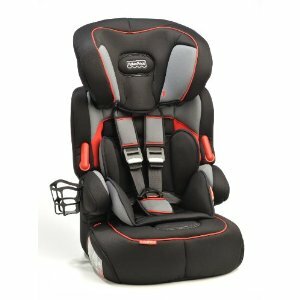 It is a 5pt harness FF seat up to 65lbs and then to a High Back Booster and then a Backless booster! So i purchased this seat and one Scenera. Emma will inherit Kalli's Scenera RF and Luke gets a Brand new Black and grey Scenera, and Kalli will have her grow with me, i ABSOLUTELY plan on buying these seats for the twins when they are ready! Milk. Cows, Almond, Soy, Ect. Now i know some kids have allergies, or other health issues but otherwise i plan on feeding my kids 2% cows milk. I live in canada so there are no artificial growth hormones, but in the US it is legal and we do buy most of our milk there but most kinds there do not have hormones anymore, it will say on the package "with no growth hormones". 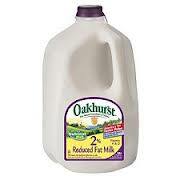 I use oakhurst and have since kalli was a year old. Bottle and Paci weaning is my next topic, When to give it up? Alot of experts are saying to kick it by 1 year, but no later than 18 months, when i was younger i think i had it until i was 2 and im fine.. I have been having ALOT of trouble with weaning Kalli and i am really hoping she will be off it by 18 months. But if i could do it over i would 1 NEVER USED DROP INS and 2 started weaning at 6 months! Wow, did I wake up to a surprise this morning!! I woke to a crying Kalli, Nudged Jordan, surprisingly he got up and brought her into my bed.. Then when i went to turn over to get up... PAIN radiating my thighs!! Wow.. I know last time i started to exersise i did a bizillion squats and this is how i felt but i guess i forgot about the morning after first workout i may be a bit sore, put im going to push through it! The twins are asleep and its still pretty cool in the house and Kalli is occupied with breakfast so i think i am going to get right too it! NO GIVING UP THIS TIME!!! Ill let you know how i feel when im all done! Tonight is the first night of a new chapter of our lives, I have finally put my foot down and i will no longer give in and give Kalli her bottle, I put her to bed, and after two hours or tears and hugs and rocking and holding she is asleep, bottle free! Please Wish me luck in continuing this journey!